In 2011, I premiered my first film, Miss Representation, which looked at how media contributes to the under-representation of women in positions of power and influence in America. While traveling the world with Miss Representation, I encountered many parents and educators who thanked me for making Miss Representation, but asked, “What about our boys? Isn’t there a boy crises going on? And, how can we help our boys and men be a part of the gender equality solution?” After all, stereotypes hurt everyone, girls and women, boys and men. First, let us expand what it means to be a man. Masculinity can be about more than physical force, sexual conquest and economic success. These stereotypes are hurting all of us. Second, let us as parents and mentors model a healthier form of masculinity. It’s up to us to give the next generation a positive representation of being a man that does not hinder their social-emotional growth. And finally, we have to support boys in being their whole selves — help boys connect their hearts to their heads so they can find the courage and conviction to stay true to themselves. But let me be clear. It’s not just about boys, not just about men, and it’s not just about parents and mentors – we’re all in this together. 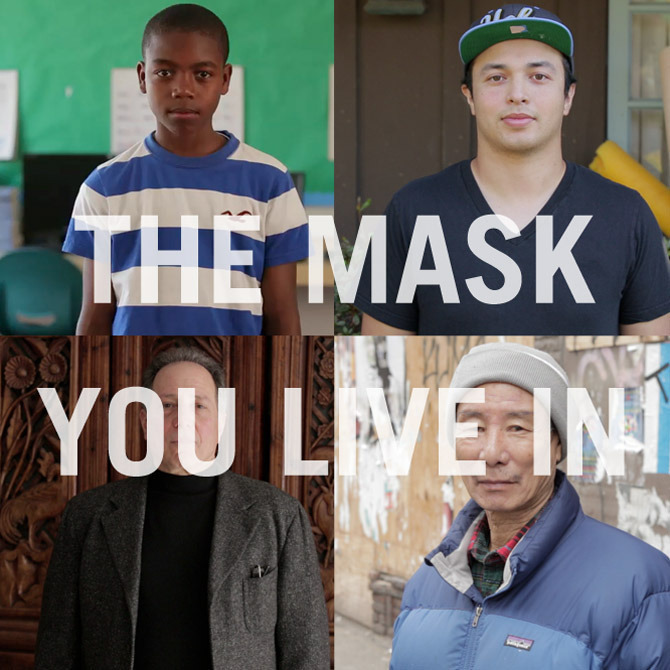 Hopefully, The Mask You Live In inspires each of us to take the challenge and help ourselves and the boys in our lives stay true to themselves and overcome limiting stereotypes.